The game lets you play through both the recent sequel and also the original, with the storyline and certain memorable scenes playing out over twelve chapters of the game. But of course, this being a LEGO game you then have an open world section to it, as well as revisiting levels with new characters you unlock to be able to unearth new goodies you couldn't access before thanks to them having a certain ability you need to get access to it. Now, if you've played a LEGO game before you know what you're getting from this game already, with no real surprises to be found in this game, certainly going for the "if it ain't broke don't fix it" mantra that many other games have stuck by previously. LEGO games are a great palette cleanser for me though, with this coming at a great time when I just found myself in a funky mood and not really enjoying the games that were in front of me. All of which were ones that sit in the middle of being nothing special, so it makes for a dull few weeks when it comes to testing out your reviewing chops as it were, as you tend to type a lot of the same things. So yeah, like I said earlier in the review, the game takes place over twelve chapters, with the option to go out and explore the open world portion then too, filled with numerous things to do and complete for one of the many collectables this game has. 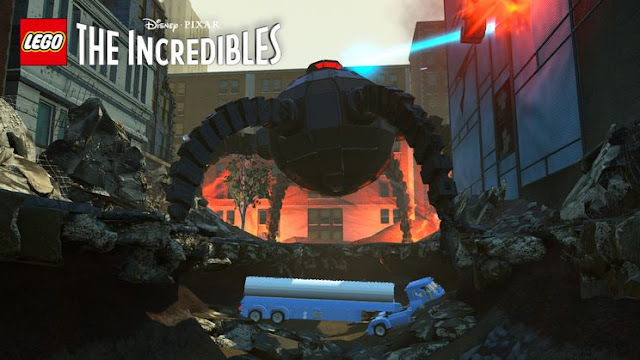 One thing I will say about the campaign portion of the game is that I did find it odd that they worked backwards from the movies, so starting with Incredibles 2 and ending the game with the original just made things a little odd when it came to how they got their powers and things. I get the new movie is out and that is why many will pick this up, but just felt an odd choice for me to play it out that way. As for collectables you can expect to find minikits in levels, new characters, gold bricks, red bricks, and a bunch of family builds out in the open world are just a few of things you will have to tackle if you wish to beat the game 100%. With the open world also having things like races, crimewaves with mini-missions, and just a whole bunch of stuff to mess about with once the campaign side is complete. Looks wise leaves not that much to talk about, with the game looking and sounding like all previous LEGO games in the past, but am still so glad we moved on from games that feature actual voice work a few years back in these games and not cutscenes that were filled with just mmmmmming and arrring anymore. The game, however, does not really do anything to make it stand out from the what feels like hundreds of other LEGO games that are already out there, so the camp who give a look of disgust at every new LEGO release aren't suddenly going to find themselves feeling any different if they load this up. 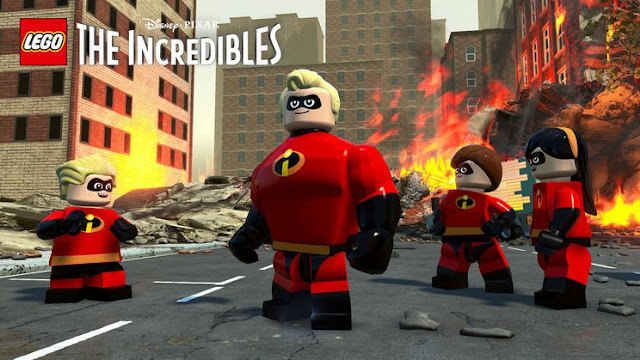 On the flipside to this, those who love LEGO games will eat this stuff up, with Incredibles being a great franchise to get the treatment and for me at least being one of my favourite ones to play to date (Hobbit still the best LEGO game to date obviously). Overall: Just simple good fun if you enjoy games like this or are sitting in a funk and feel like a break from games that require too much thinking just to play them. Great if you want quiet kids for the next few weeks too. The Incredibles was such a great movie. As a life long comic book fan, spotting the references in it was really entertaining and gave a reason for multiple viewings. Haven't seen the sequel yet, will probably rent a copy or something. Game looks great but I'm one of the people you mentioned, the ones who've begun to find the Lego games too predictable. Saying that though, I play them for the associated franchise. The Marvel/DC games are more likely to catch my eye.